Photos 2, 3 and 4 show some of the dozens of boards we shipped recently... SO gorgeous. 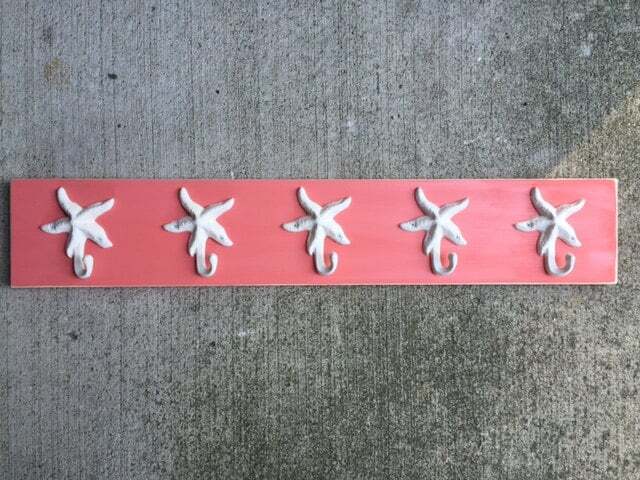 If you prefer Coastal living inspired neutral colors like gray with cream hooks, we can do that too....Want to make yours colorful and tropical looking? 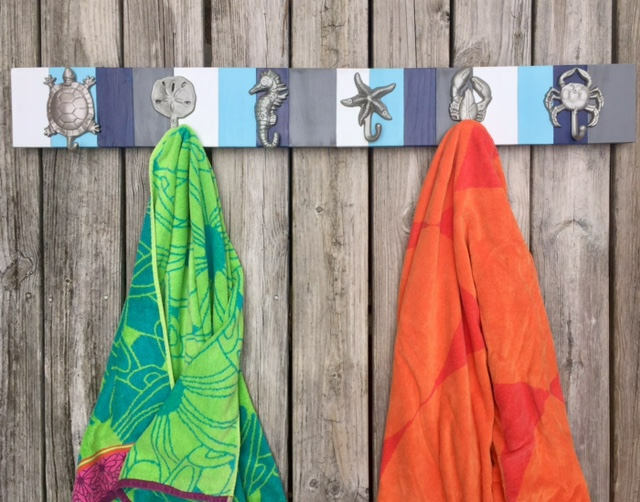 Check out our other listings for 2,3,4,5,6, and 7 hook boards...now our original design coat and towel racks are available in multiple colors, with horizontal or vertical stripes. 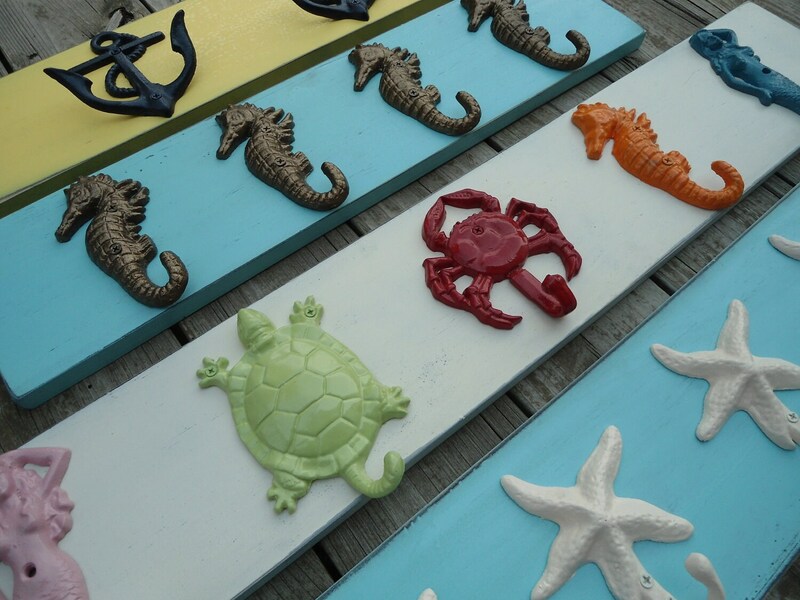 The dimensions of this sturdy handmade wooden hanger shown are 60”long, 5 1/2" high, and 1-2" deep, with 8 different nautical hangers. This board comes with 2 ring type hangers already attached, on the back for easy hanging too; We recommend that these boards be hung from the studs in your walls. Or you can use anchor toggle bolts designed for use in drywall. Anchor/toggle bolts can be found at your local hardware store. We will position the center of the ring type hangers approximately one inch from each end of your board. If preferred, we can ship your ring type hangers unattached and you can attach them yourself. 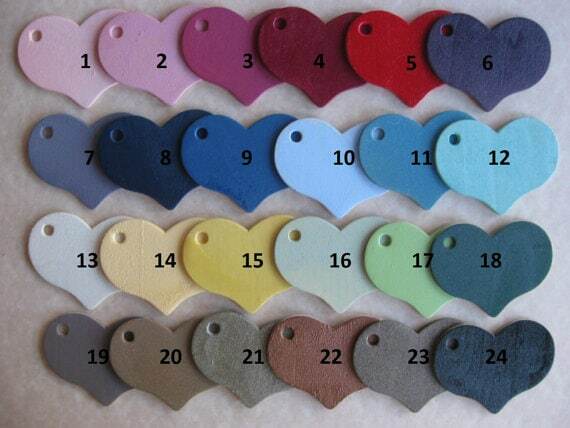 Please designate in the message to seller section if you want us to send you 2 ring type hangers UNattached. If you only want 3, 4, 5, 6 or 7 hangers, purchase those separate listing; this one is for 8 nautical hangers, on a navy blue, white, gray, and robin's egg blue striped board (with different widths on the stripes, as shown).